I am ashamed to admit that I am yet to throughly explore – nay simply peruse the land I call home. It is not that I find it unappealing. It’s just that in the grand scheme of things to do and see, Australia has always hovered at the bottom of such lists. I won’t deny that there is unmistakable beauty to behold and I am blessed with living a certain lifestyle filled with liberations some sadly only dream of. It’s just that in existing here day in and day out, such beauties are obviously lost to me. Which is something that can be said for most of us when it comes to dwelling in such habits for extended periods of time. The magic is seemingly abandoned as the mundane necessities of life become more indispensable. When it comes to my state of Victoria, there aren’t exactly copious prominent points of interest that the rest of the world identifies with; unlike our nemesis Sydney. 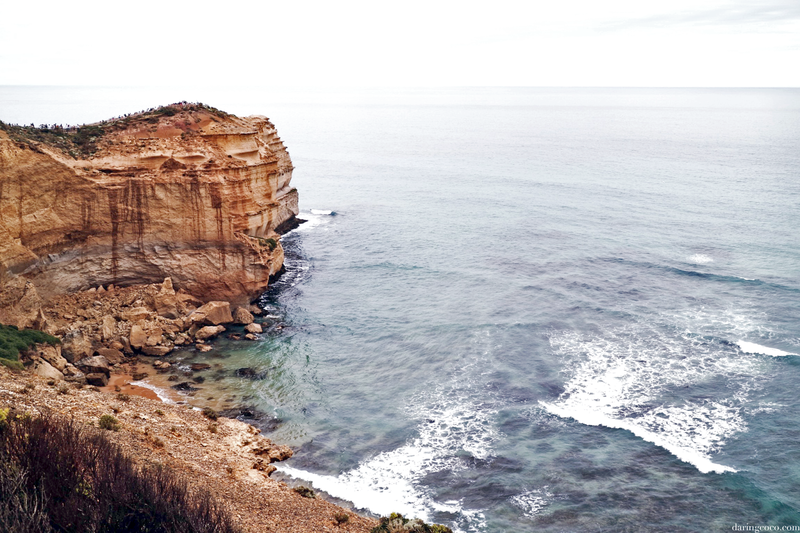 Aside from the city of Melbourne there is one other icon; one of unprocessed pulchritude, The Great Ocean Road. A purely memorable scenic route which stretches for over 240 kilometres. 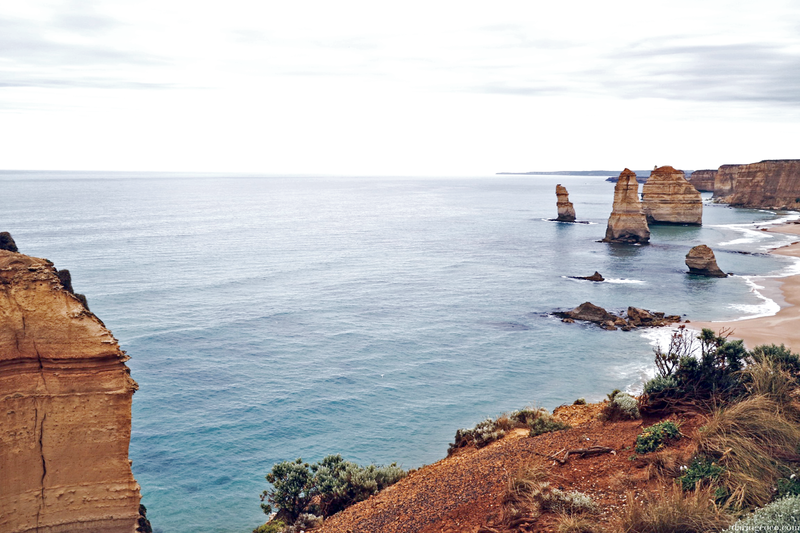 The Great Ocean Road is expansive and covers a wide berth of the western coast of Victoria, promising impeccably incomparable panoramic views of the bay while at times also nestling you comfortably through rainforest and fern tree resplendency. 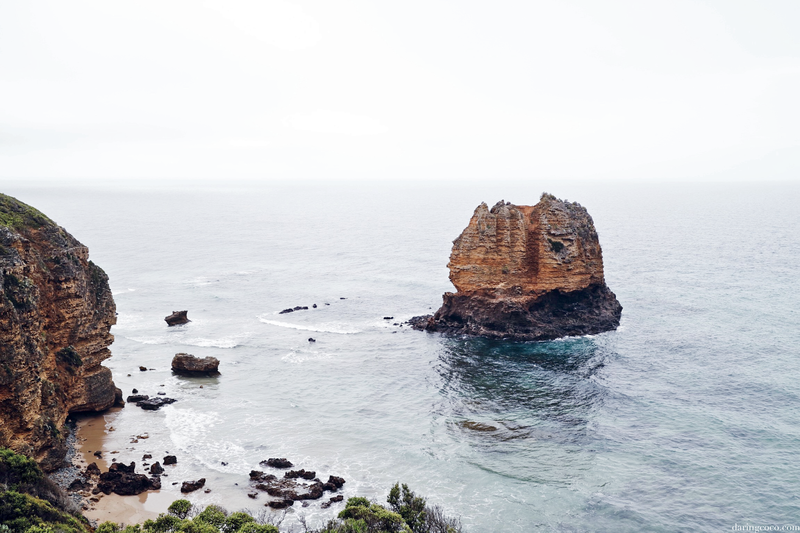 There’s many points of interest along The Great Ocean Road. 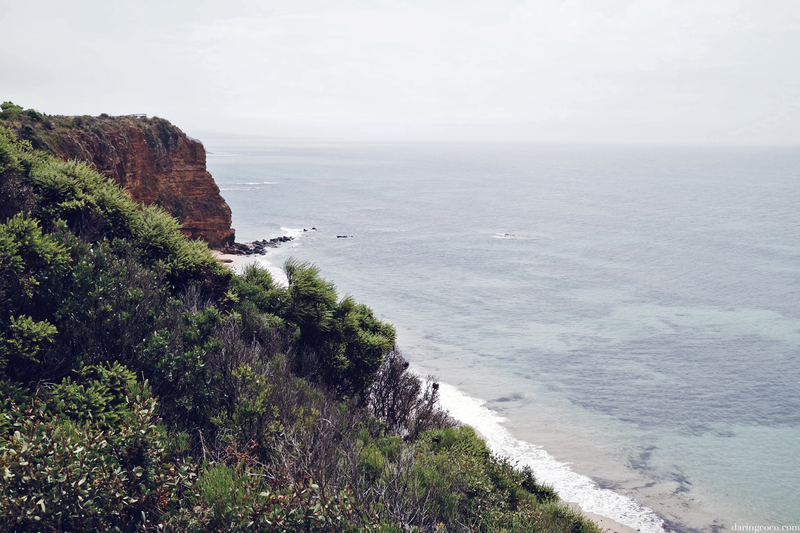 From its starting point at Torquay which is renowned for its surf beaches, like the acclaimed Bells Beach. One acclaimed for its surf events and competitions, to thriving seaside towns abounding with tranquility. Of course the main attraction is the coastline itself, a mass of crystalline cerulean abutting limestone precipices and gossamer sandy terrain. 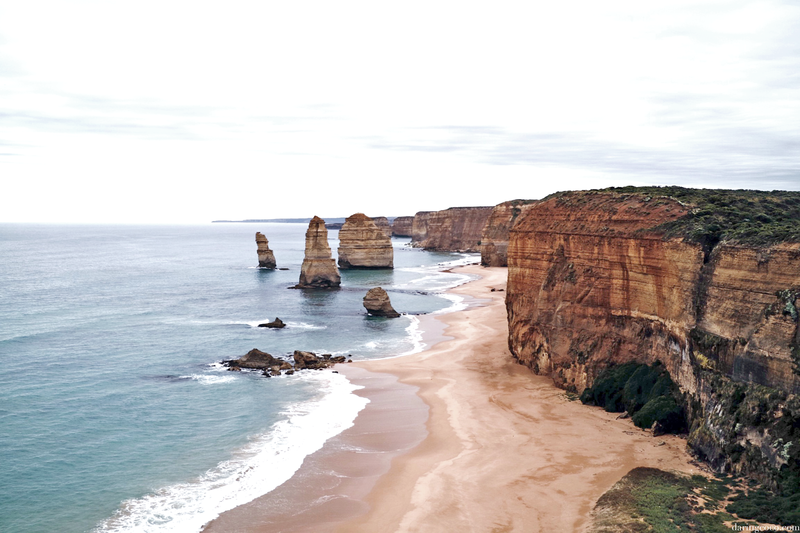 While our journey began at Torquay, right on the onset of The Great Ocean Road, due to time constraints it abruptly ended at the illustrious Twelve Apostles. A site regarded by many and in my opinion one that should be a natural wonder of the world. 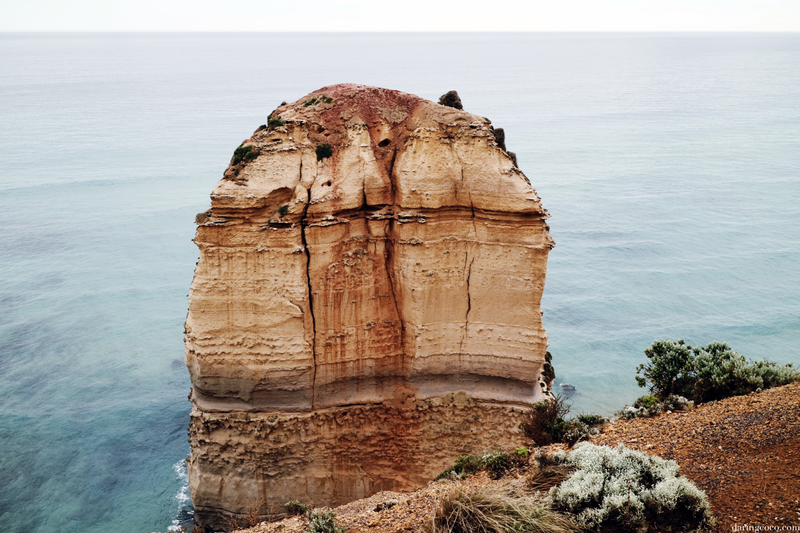 The Twelve Apostles sit at around the half way mark of the route which concludes at Warrnambool, a town famous for its shipwrecks. 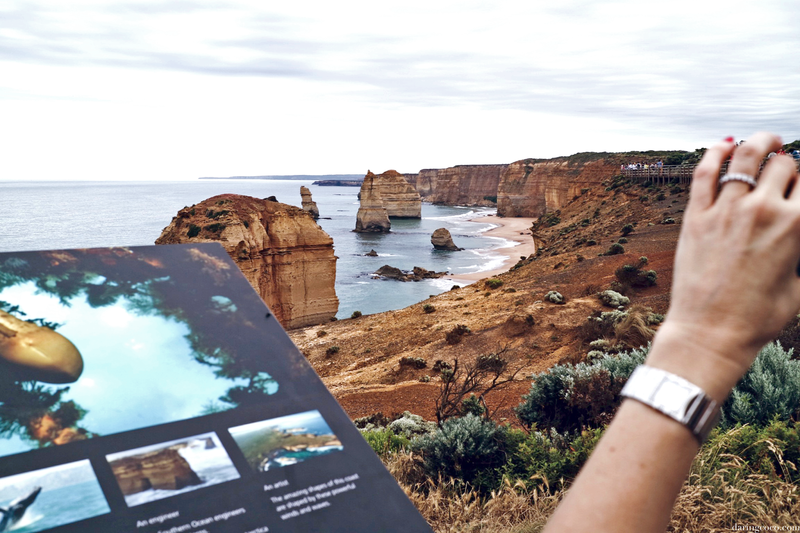 Aside from making extensive pauses to marvel at the breathtaking coastline, we managed to make a few minor stops before reaching the Twelve Apostles. The first being the Split Point Lighthouse at Aireys Inlet. 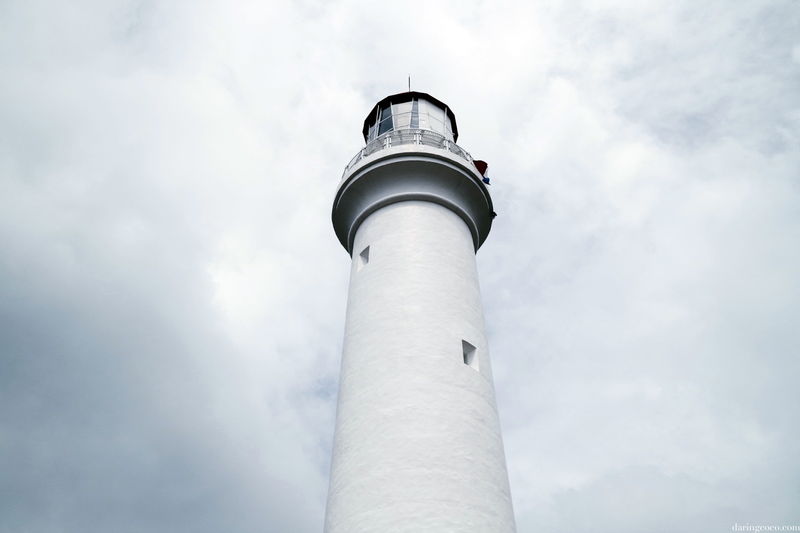 An icon in its own right and one nostalgic to any kid who grew up in Australia during the nineties, as it served as a prominent feature on the hit Australian TV show, Round The Twist. Today, it is very much a functioning lighthouse with tours available for exploring its confines. There’s also a quaint and short trail which leads you out to an observation deck, giving you expansive and unobstructed views of the surf below. Parking here may be problematic at times, as it was for us during the festive and school holiday season. 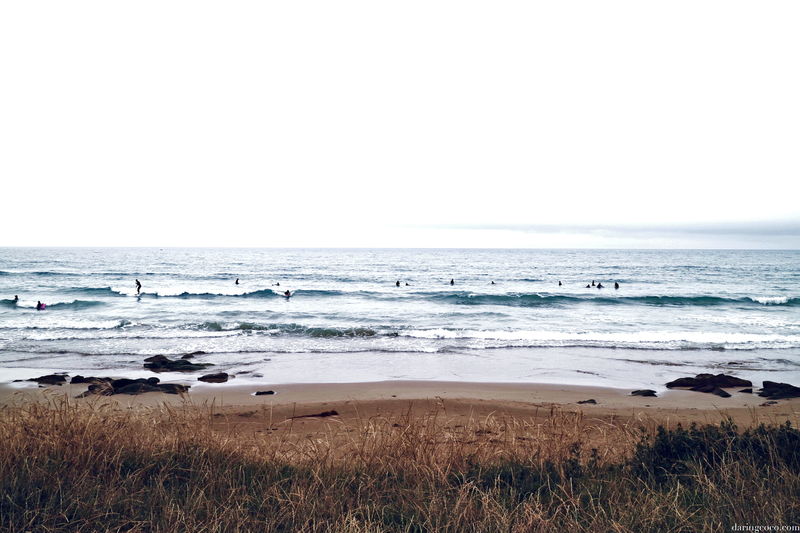 We also made stops at popular towns like Lorne and Apollo Bay. Again during this time of year these are notorious hotspots for vacationers creating a cacophony of vibrancy and elation. However these two towns aren’t generally considered to be “sleepy” with a perpetual atmosphere of calm contrasting against the bustling and teeming of revellers and those seeking equanimity. Sadly we didn’t get a chance to explore the Great Otway National Park, but it is certainly worth noting. From the famed lighthouse to the rainforest and waterfalls. There’s also a good chance of spotting a koala or two. The drive actually plunges you into its lush embrace of towering eucalyptus trees and coalescing fern trees. It’s a luminous journey albeit peaceful one. There’s also a strong probability of losing all cellular reception too. 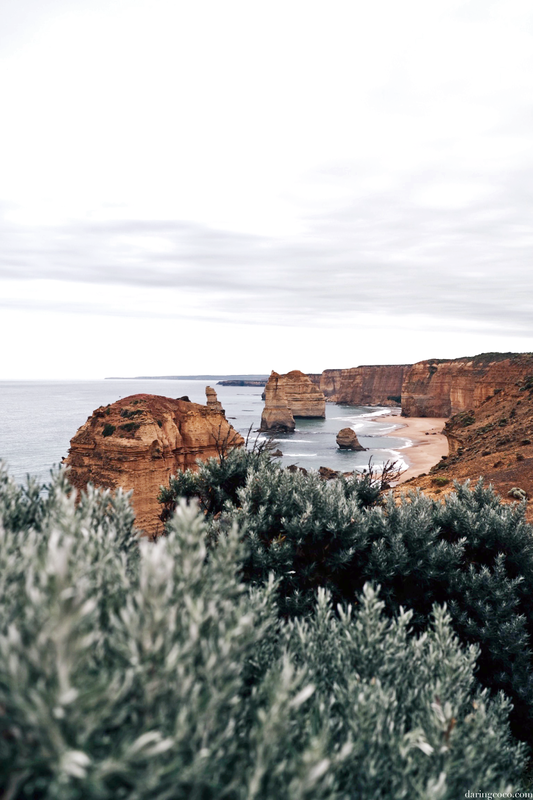 After narrowly avoiding car sickness through roads winding through an ancient forest, and when it feels as though you’ve gone too far inland the bay abruptly presents itself to you once again and the Twelve Apostles suddenly ambuscade you with their majesty. 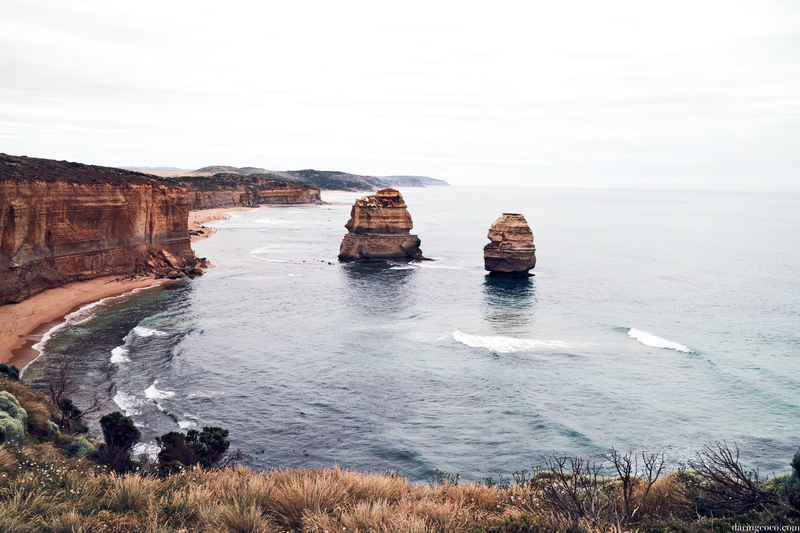 Twelve Apostles. Twelve imposingly imperial limestone colonnades formed through extensive erosion of the land, perched precariously but confidently in the ocean. Originally twelve but now down to eight with the collapsed remains of former members visibly apparent. These are formations that once accompanied the land, withered away by forceful winds and tumultuous seas. Abruptly dislocated from its former mass, giving the illusion of being forced out to sea, only to embrace such tyranny with distinction. It is estimated that there’s an erosion rate of two centimetres per year. Eventually the remaining eight will each succumb to the imperiousness sea, relentless in its forces. However given the endless cycle of disintegration, new pillars will gradually form and replace those lost to the world. Beginning with a ledge, Mother Nature expertly abrades away at its core until an archway is formed. Not content with such developments she continues forth until the delicate ties to the land are forever fragmented and collected below the surface of the sea. It’s rather a poetic journey of sorts. One that can be interpreted in numerous ways. For me I’ve always seen this as a love between the rock and an envious and possessive sea, desperately longing until such intemperance eventually consumes and destroys its beloved.